Relationships with others are one of the biggest parts of our lives, in which probably every one of us can see room for improvement. The best way to improve our relationships with others is to improve our relationship with OURSELVES. 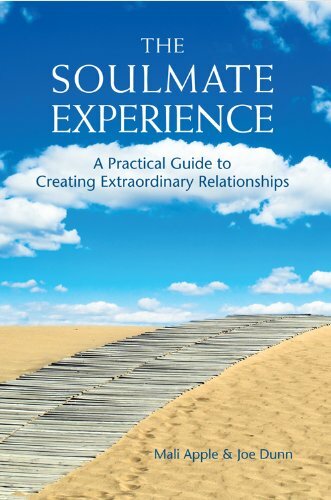 I am very thankful to have been informed by Mali Apple, one of the co-authors of The Soulmate Experience, ahead of time, of this exceptional, premium read being offered for FREE on Amazon. It is available at zero cost from 19-23 May 2013. It is an essential item for your bookshelf if you are into personal development. Single, in a relationship, or married: people of all walks of life and all ages are finding this new book on enlightened relationships inspiring, accessible, and truly transformational. This revolutionary guide will help you create and sustain a relationship that is intimately connected on all levels–emotional, intellectual, sexual, and spiritual–and a continual source of love, inspiration, and joy. In Part 1, chapters like “Loving Your Body,” “Reducing Your Baggage,” and “Raising Your Soulmate Potential” will help you release anything that might be preventing you from experiencing a deeply connected relationship. As you read, you will quickly begin to feel more loving and compassionate toward yourself, more connected to those around you, and more confident about and creating your own soulmate experience. In Part 2, chapters such as “Creating a Context,” “Turning Expectations into Invitations,” “Transforming the Energy of Jealousy,” “Exploring the Edges,” and “Connecting on a Soul Level” will give you everything you need to approach even the most challenging aspects of relationships in ways that will actually deepen your experience of love and intimacy. You will discover the secrets to keeping the love, passion, and connection in your relationship fully alive–every single day. And you will learn how to lovingly guide each other to release limiting beliefs, heal the past, rise above perceived limitations, and unlock the potential in every area of your lives. Whether you’re on a quest for your soulmate, looking for deeper connection in the relationship you have right now, or just want to experience much more love in your life, the ground-breaking ideas in this book–and the many stories of real people putting them into practice–will fill you with love, inspiration, and possibility. Because The Soulmate Experience isn’t just a book. It’s a great way of living life. Mali Apple and Joe Dunn host the very popular community “The Soulmate Experience” on Facebook. They have dedicated their relationship to discovering how to create magical relationships and keep the magic in any relationship alive. Their greatest joy is inspiring others to bring more of the soulmate experience into all their relationships. Mali and Jo also have a Soul Interviews category on their website, where they speak with men and women who have found their soul’s and lead a more inspired life. Haven’t got a Kindle? No worries. 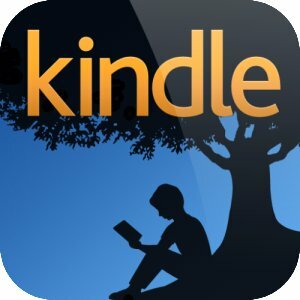 You can get a Kindle app for free so you can read Kindle books on your PC, MAC or Android device. This entry was posted in FREE Stuff, Relationships. Bookmark the permalink. would like to receive a free copy of this book and gladly will review it and leave comments. Thank you. Thank you for your comment Melinda. However, it is not my own book, so I don’t have copies to give away. It was available for free on Amazon at the time I wrote this.